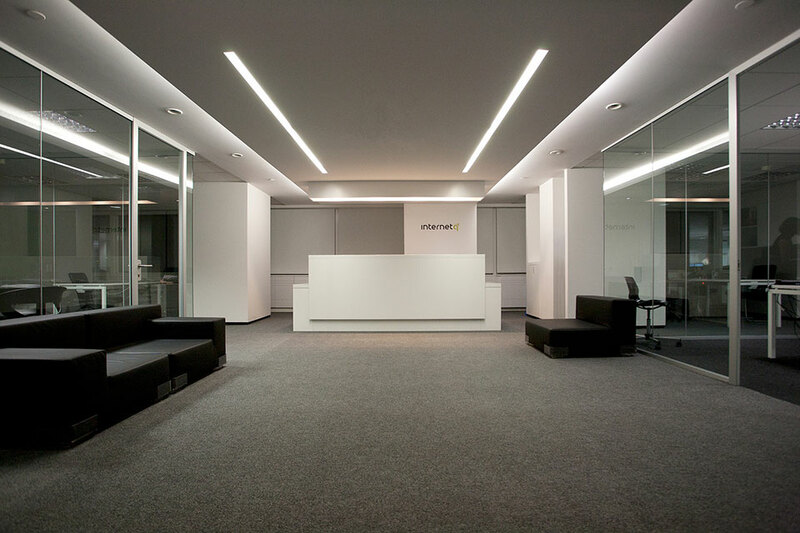 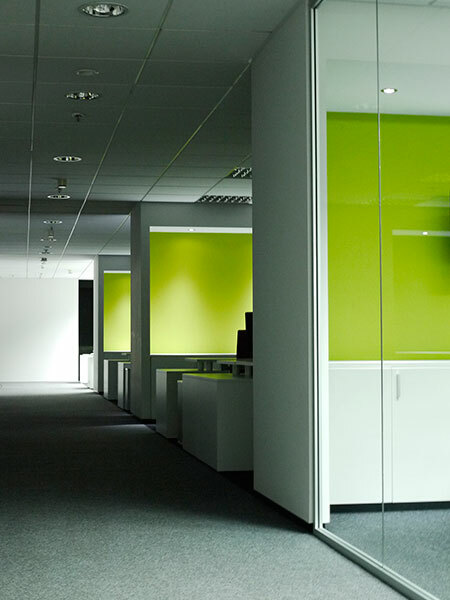 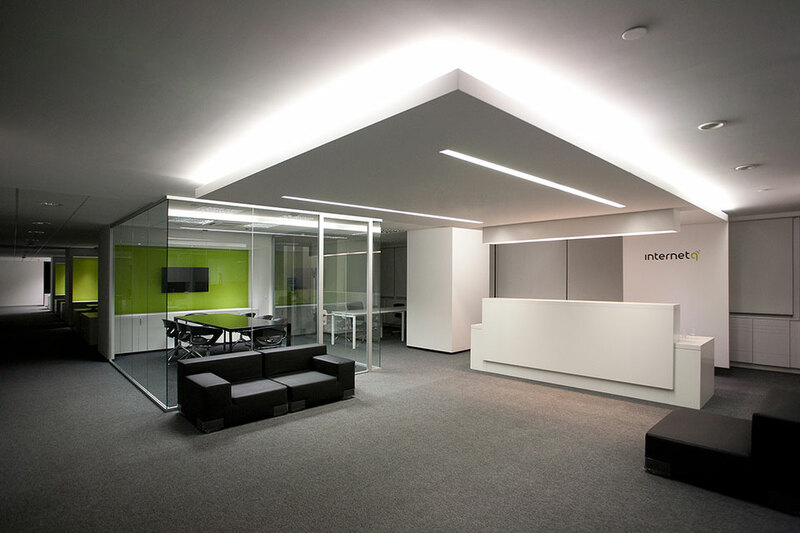 The new office space of a mobile marketing company in Athens expands in an open plan floor. 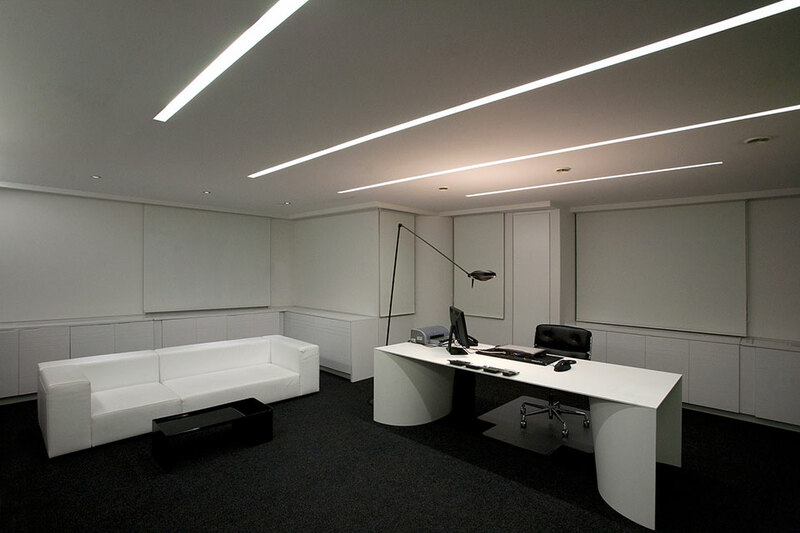 The configuration of working desks, meeting rooms and support areas in a multi-functional space refers to the urban environment as a metaphor. 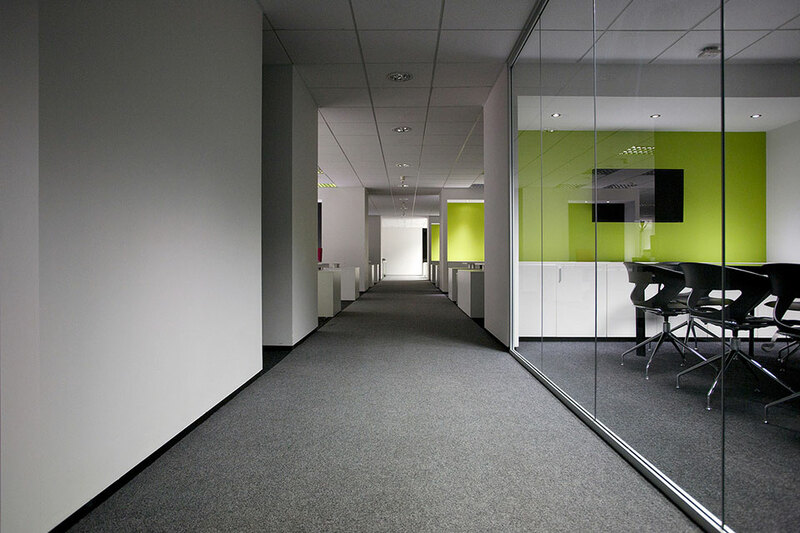 Architectural design approaches the living area of each working team like a real district in a small town, defining “streets” and “squares”, separating “private” blocks from “public” space. 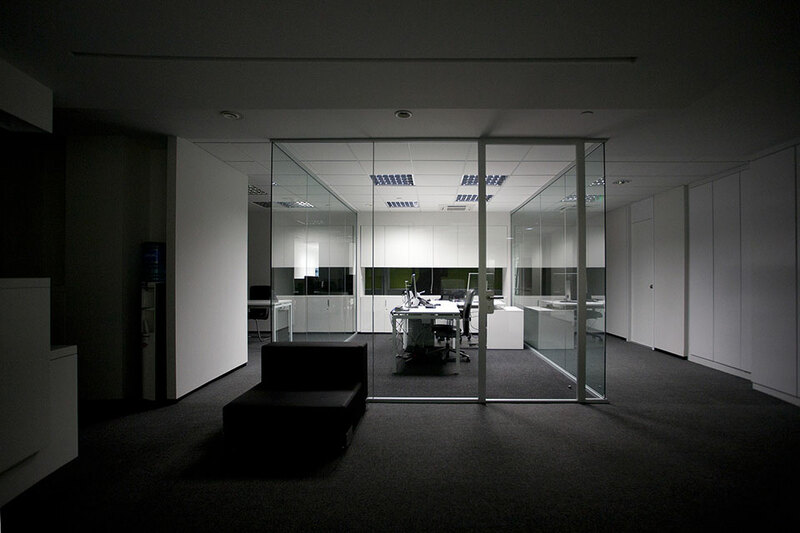 Work teams are gathered into explicit office blocks, opening up large “facades” to the linear passages across the floor. 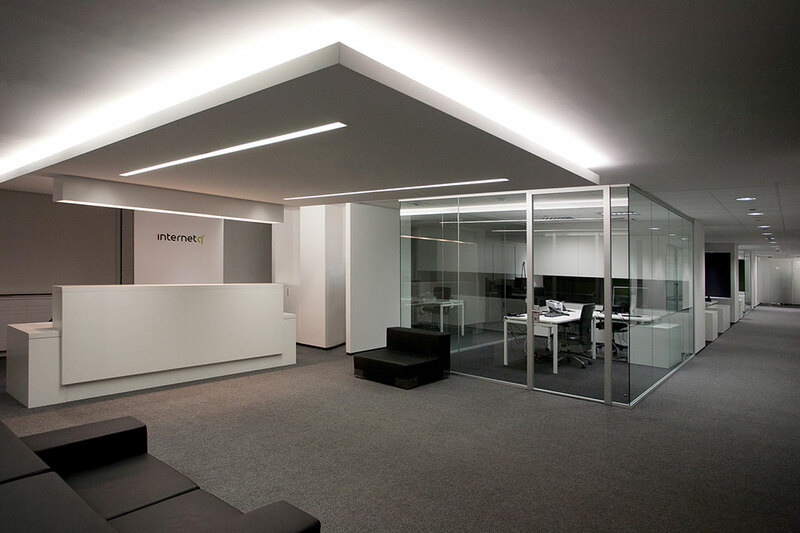 The “public” places are the central square at the entrance and the open spaces at the end of the passages, where sitting areas are found. 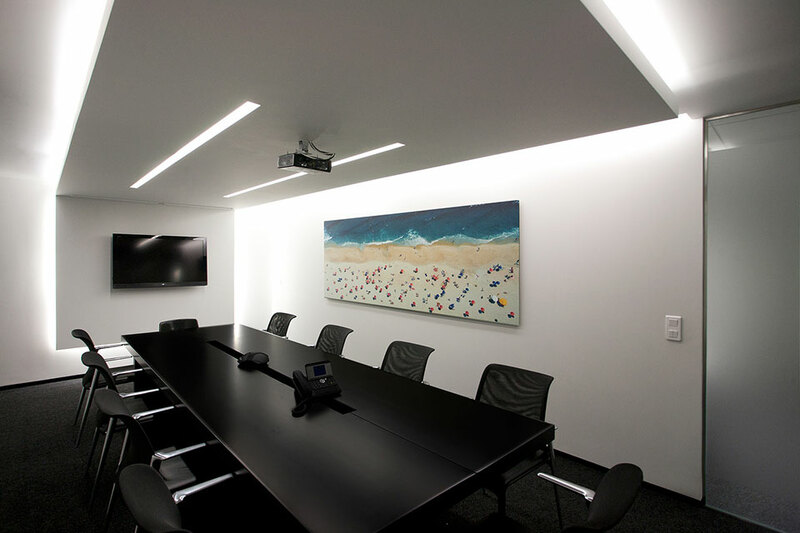 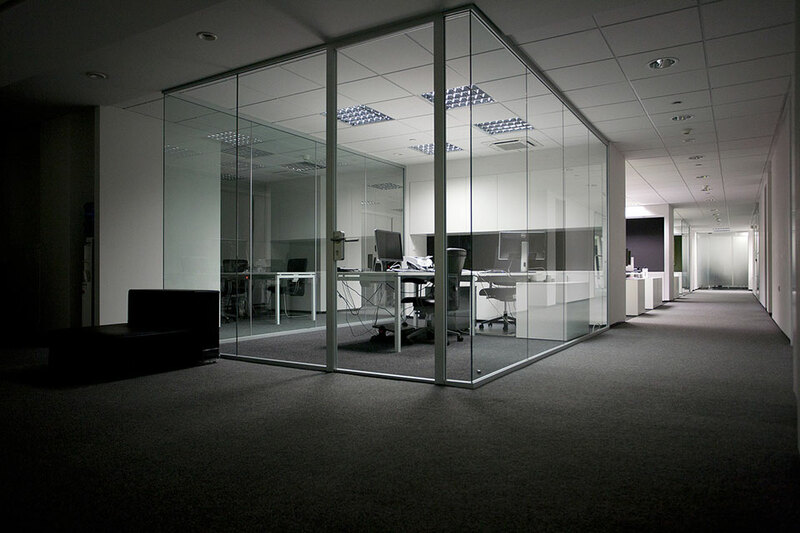 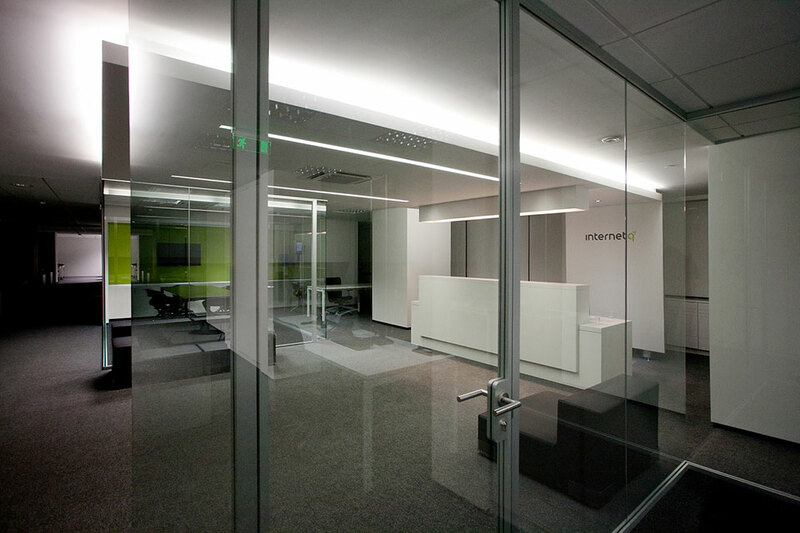 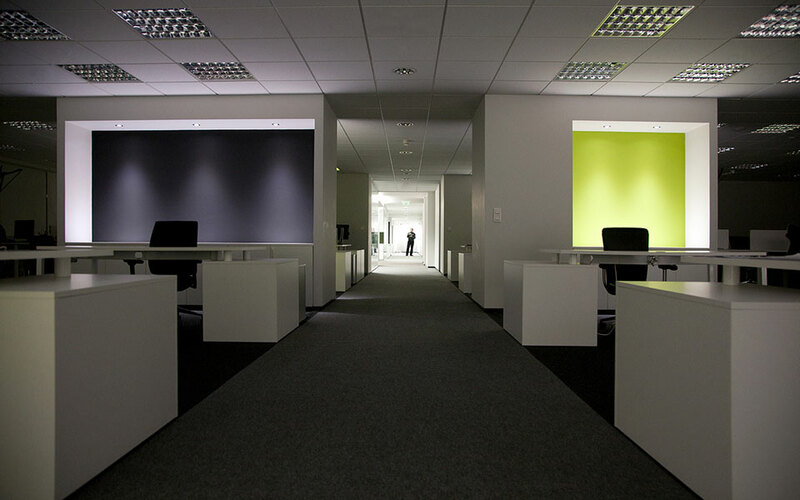 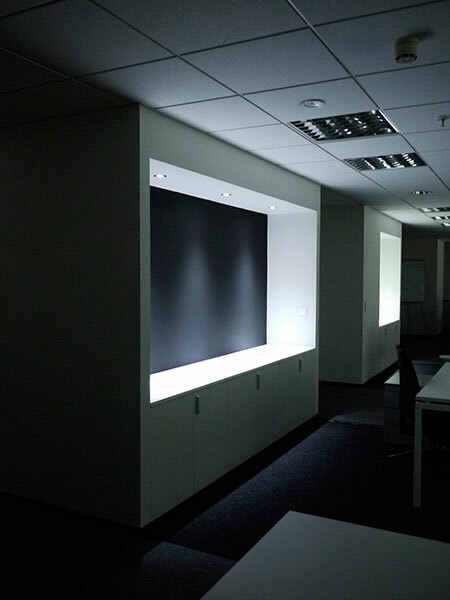 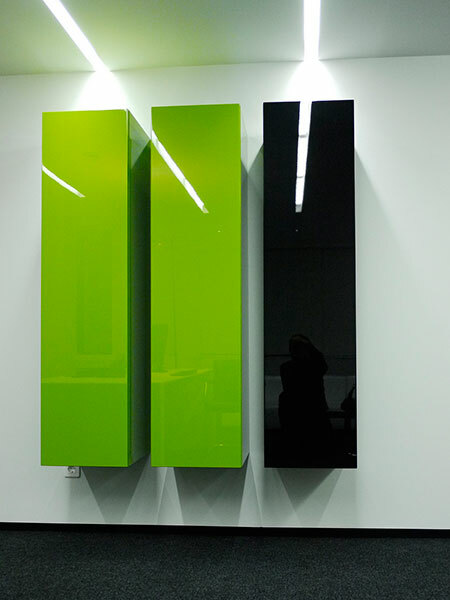 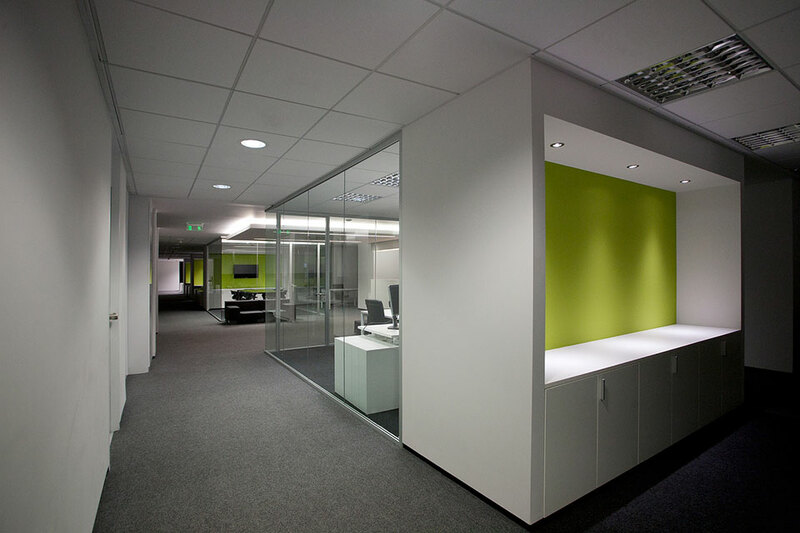 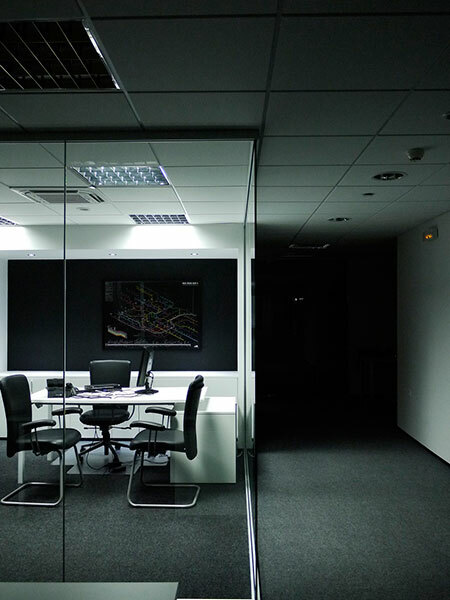 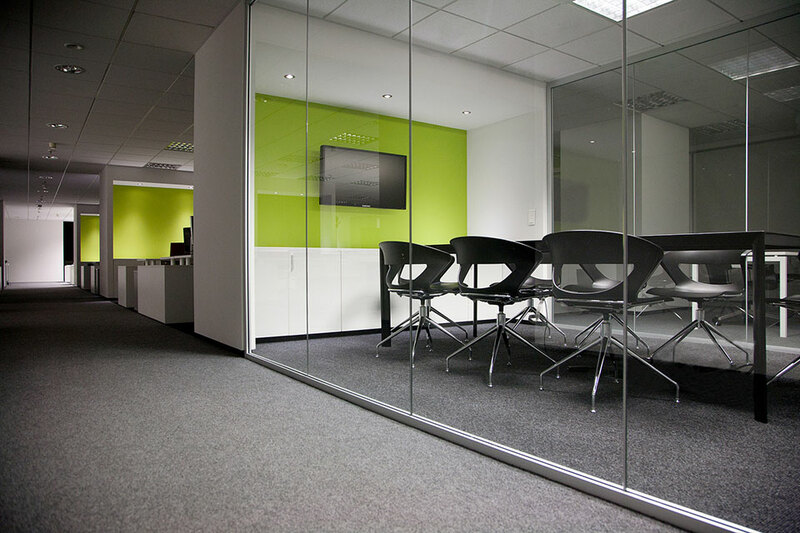 Meeting rooms are located next to those open “public” spaces, divided by transparent partitions.